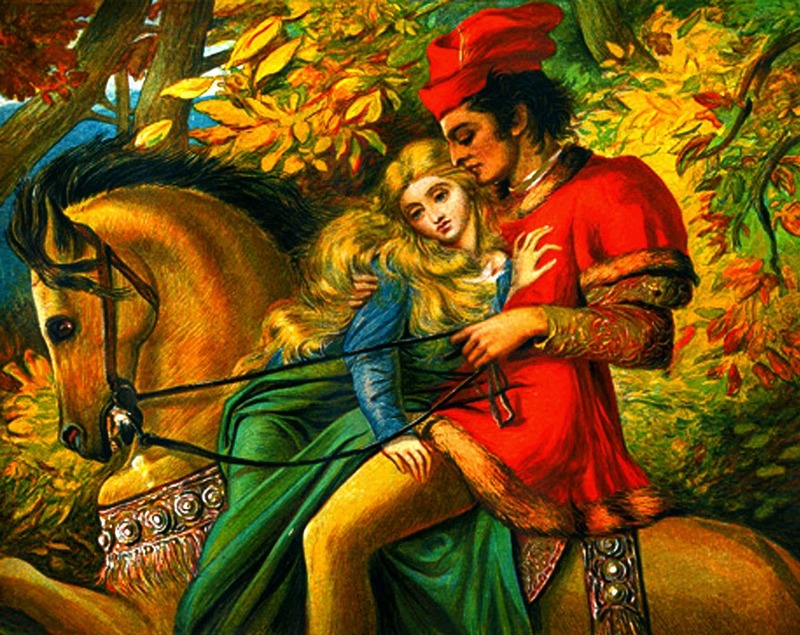 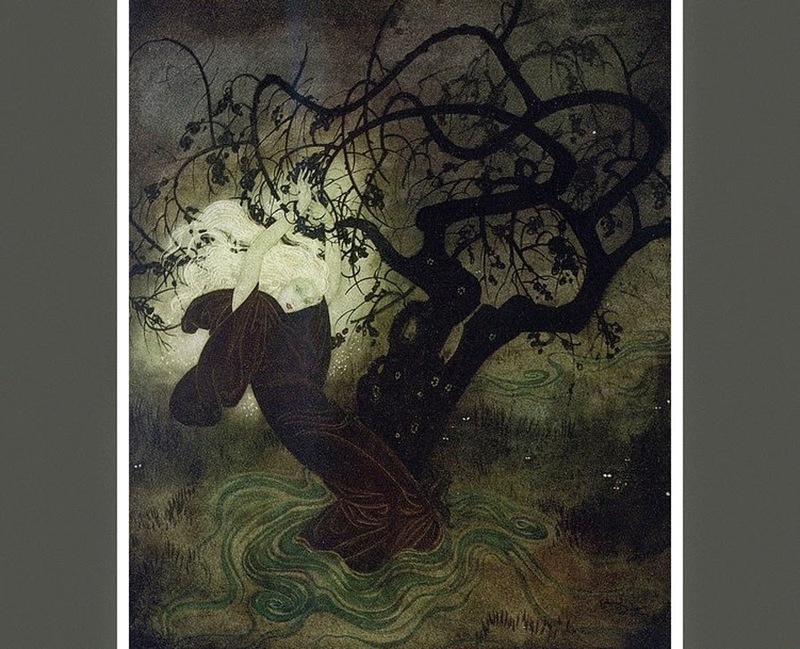 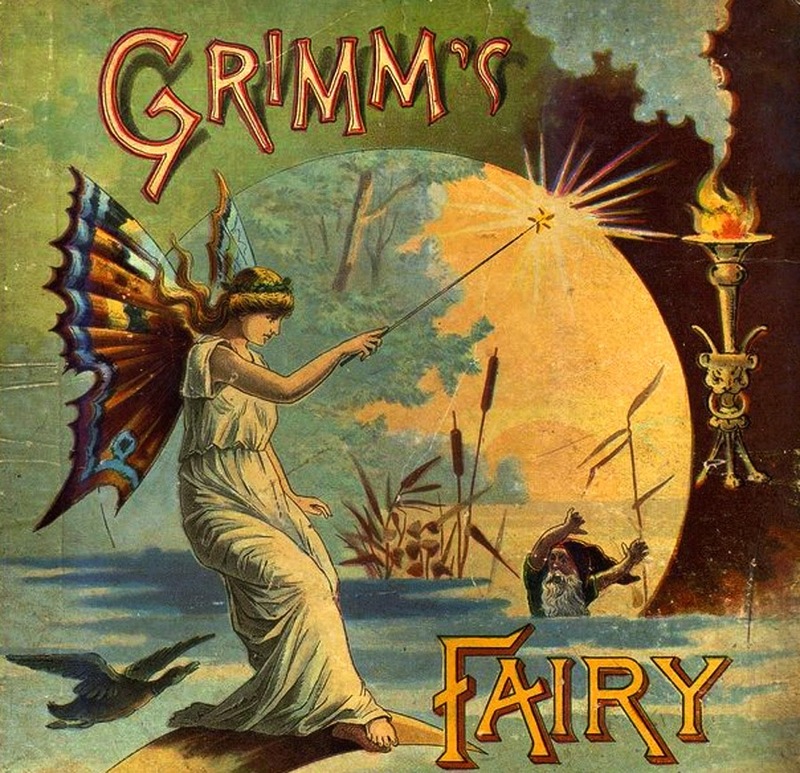 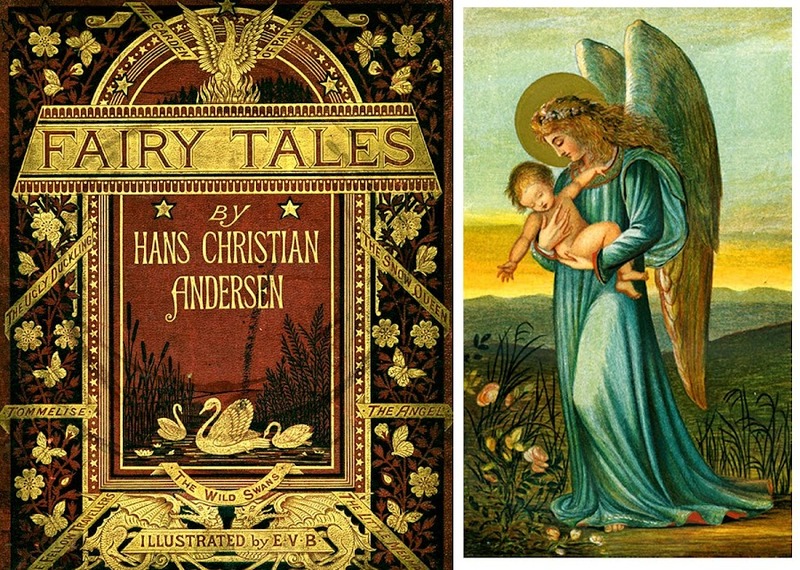 Victorian fairy tale art is definitely worth a look if you are trying to get inspired, start a new creative project, or just want to clear your head from modern influences of gritty realism, pessimism and post-everything cynical worldview. 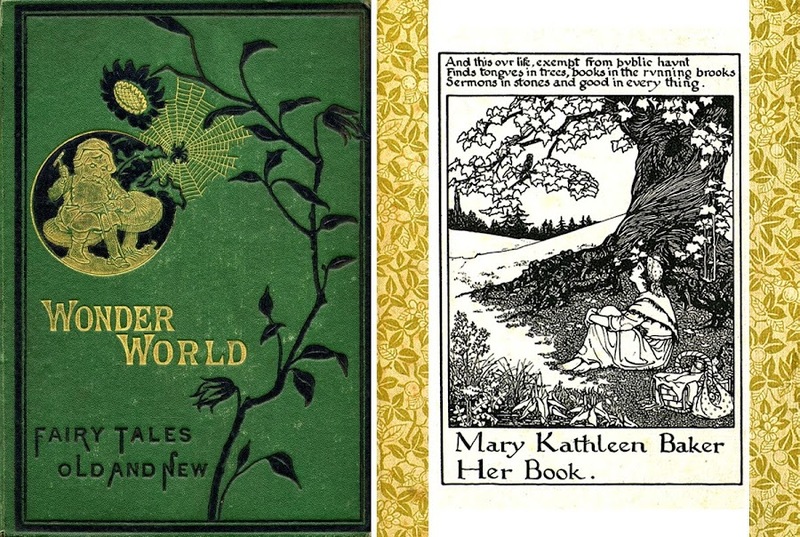 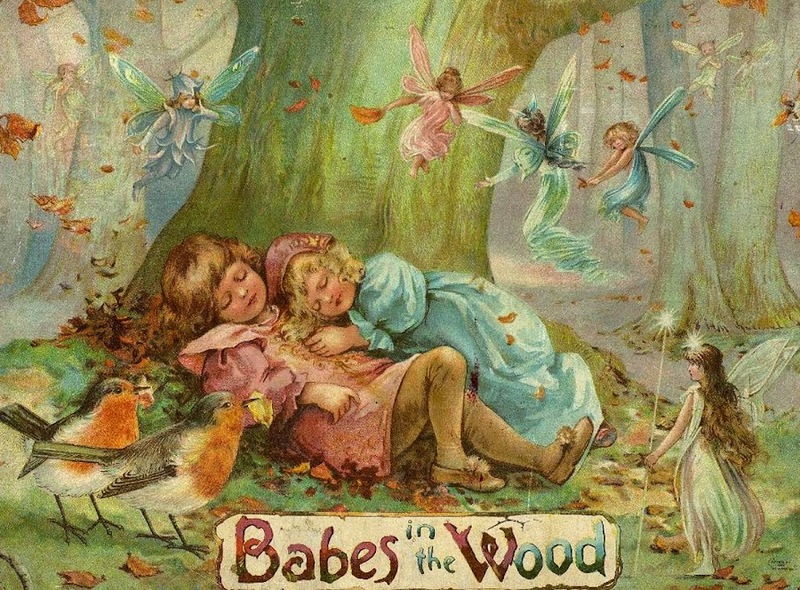 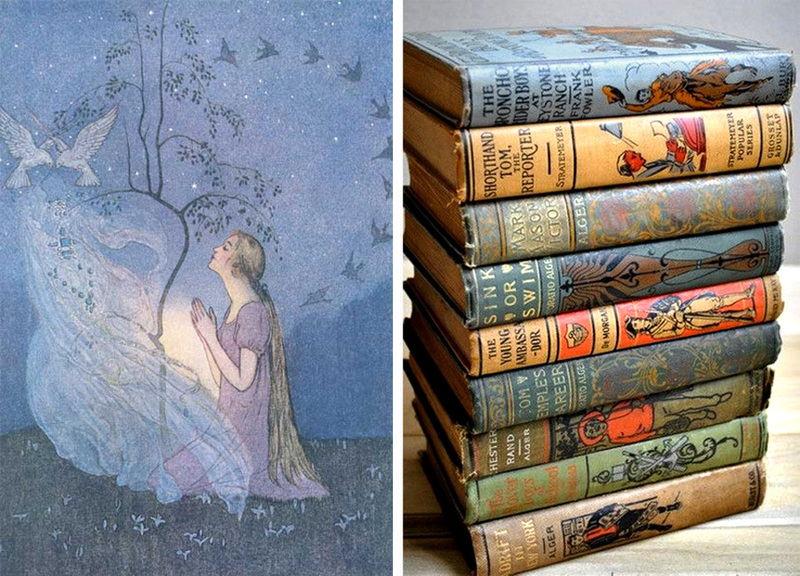 Many of vintage books of this nature were collected by the University of Florida, as part of The Baldwin Library of Historical Children’s Literature - many of them lavishly illustrated, beautifully designed and so gloriously otherworldly that it seems they've dropped straight from the Fairy Kingdom itself. 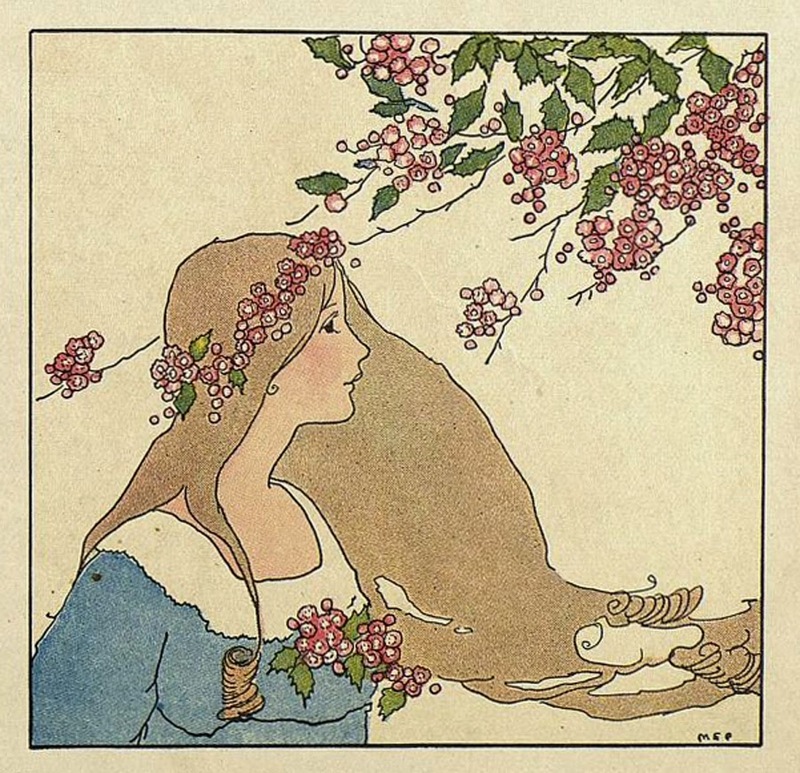 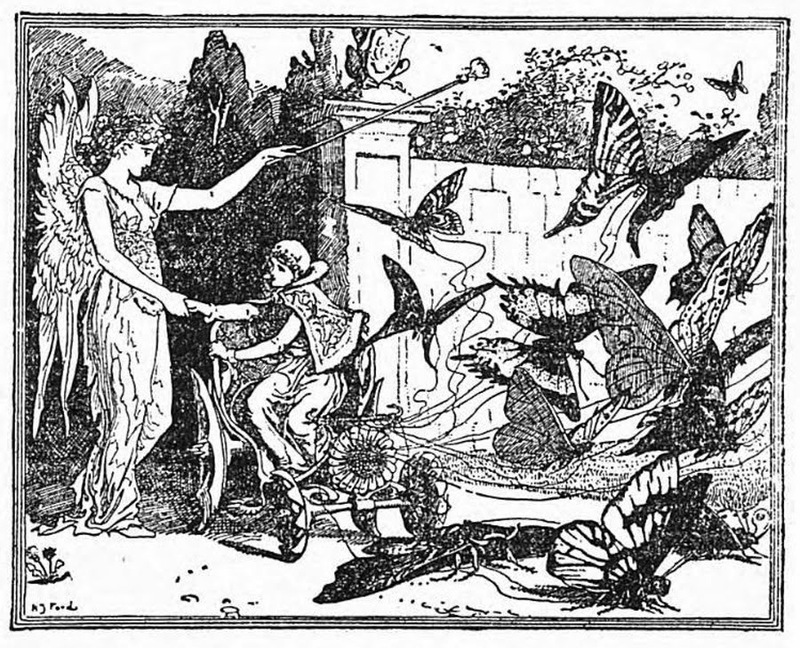 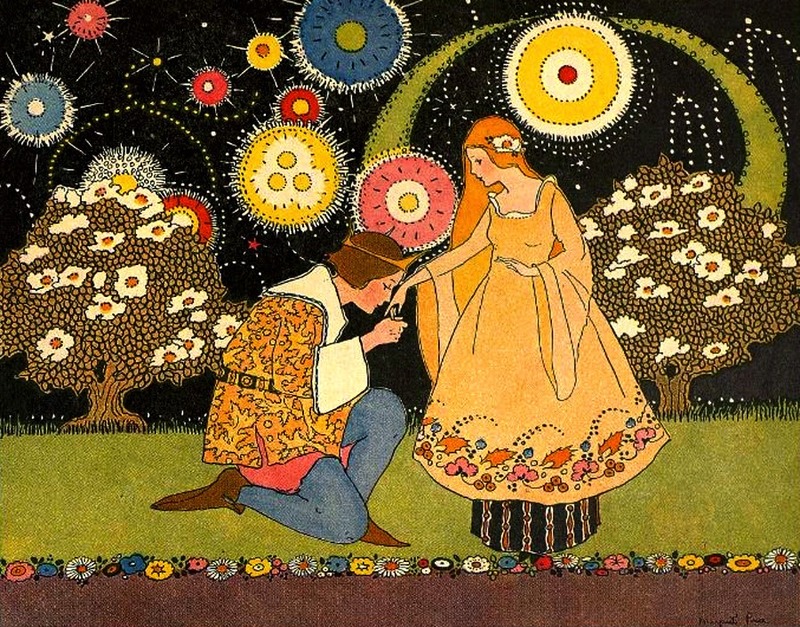 Above: illustration from "Once Upon a Time: A Book of Old-Time Fairy Tales" by Margaret Evans Price. 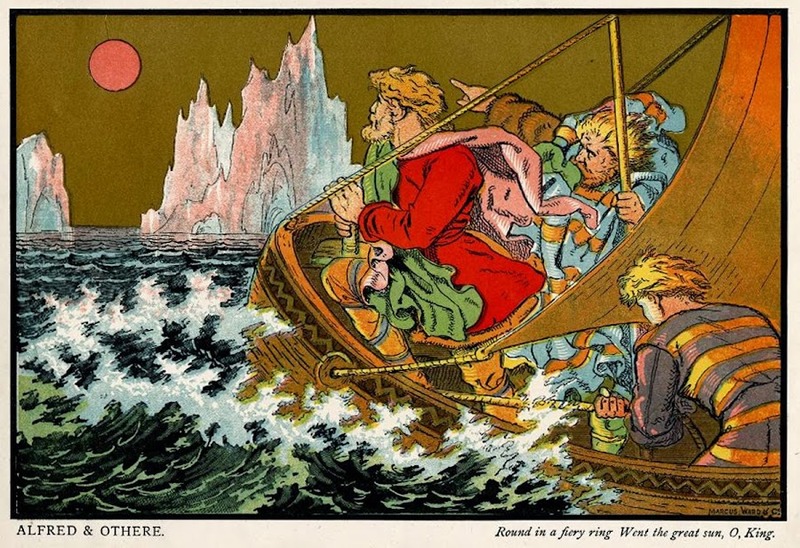 Chicago: Rand McNally & Company, 1921. 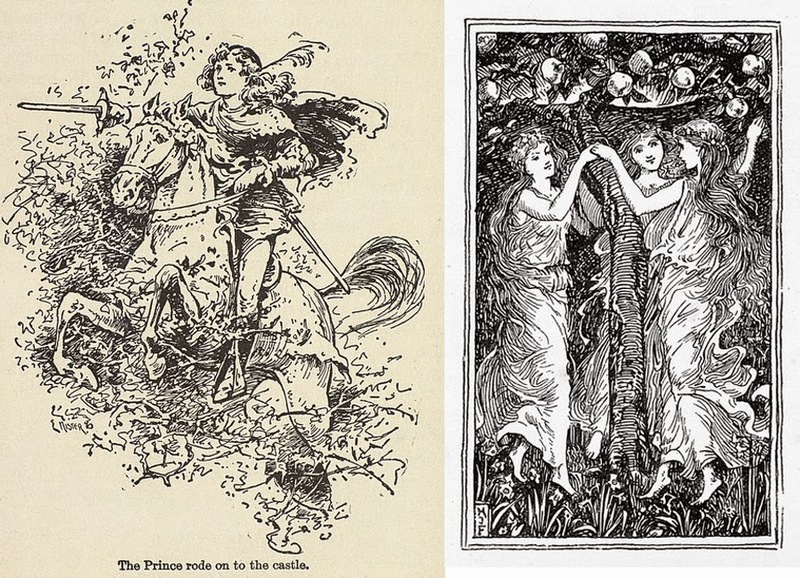 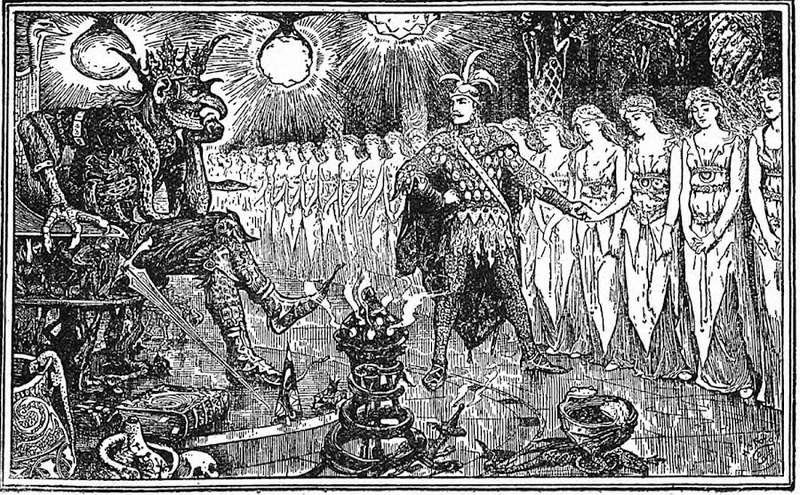 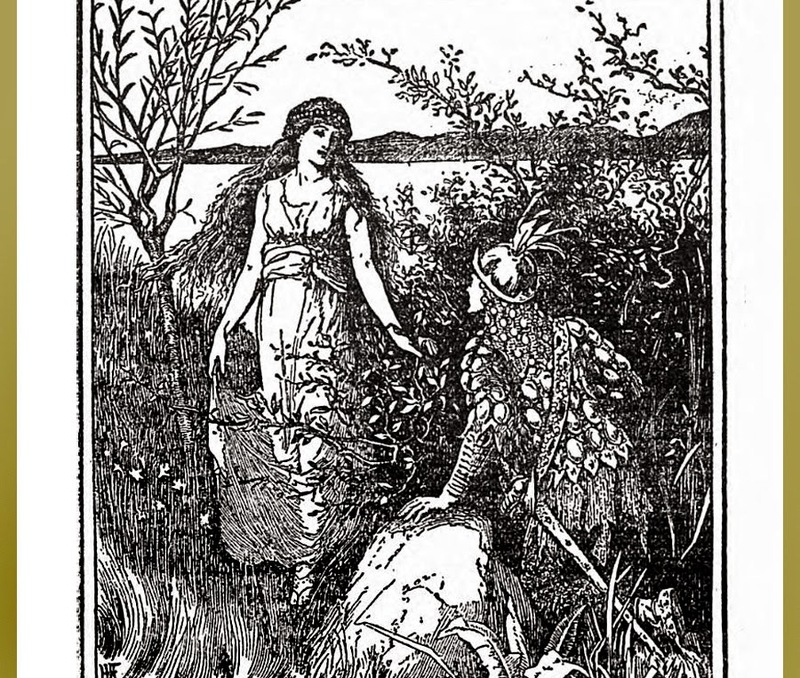 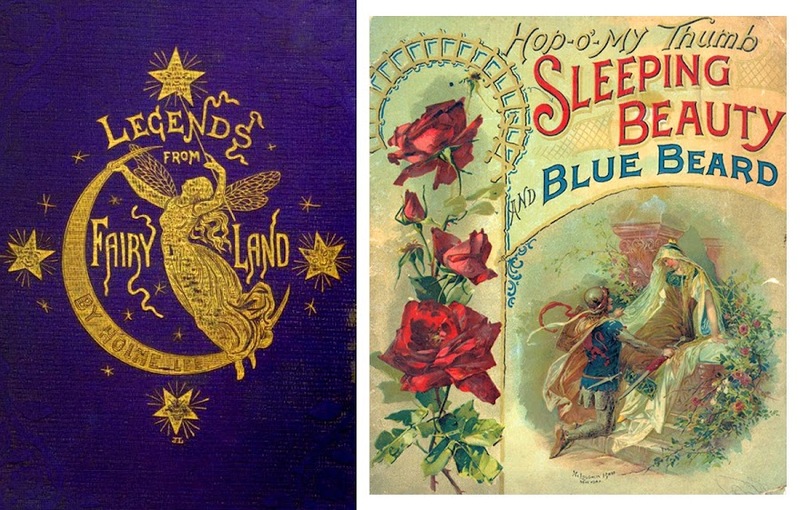 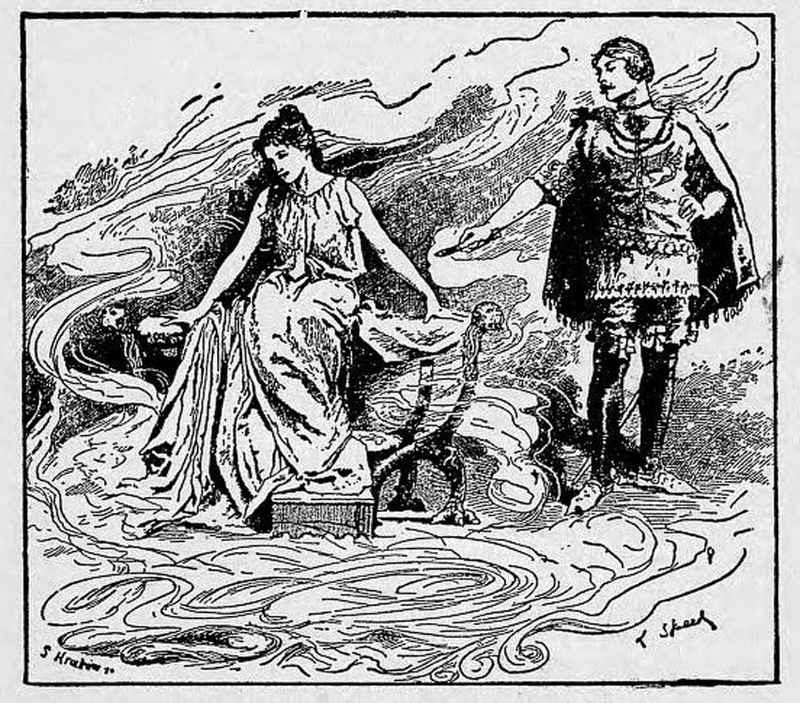 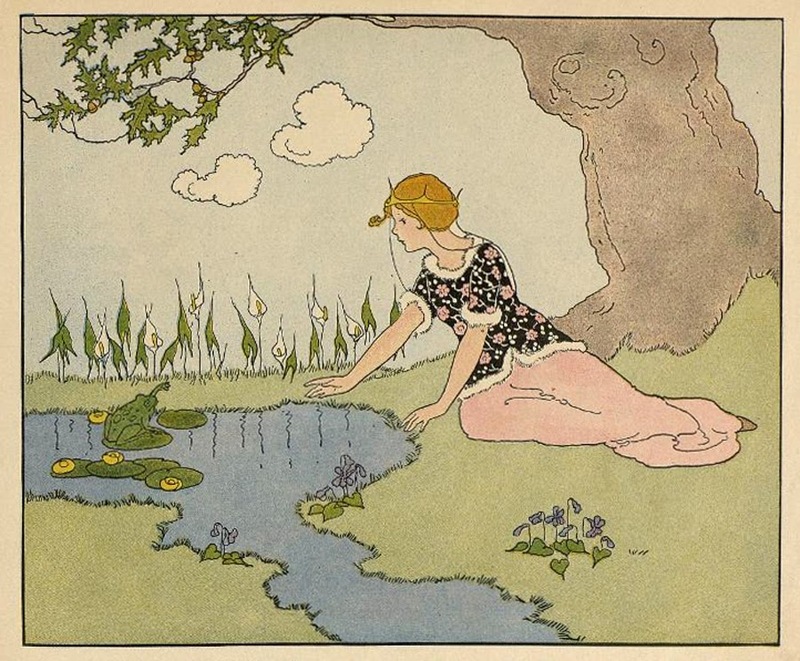 Above: "The Frog Prince" from "The Big Book of Fairy Tales", published by Blackie and Son Limited in 1911. 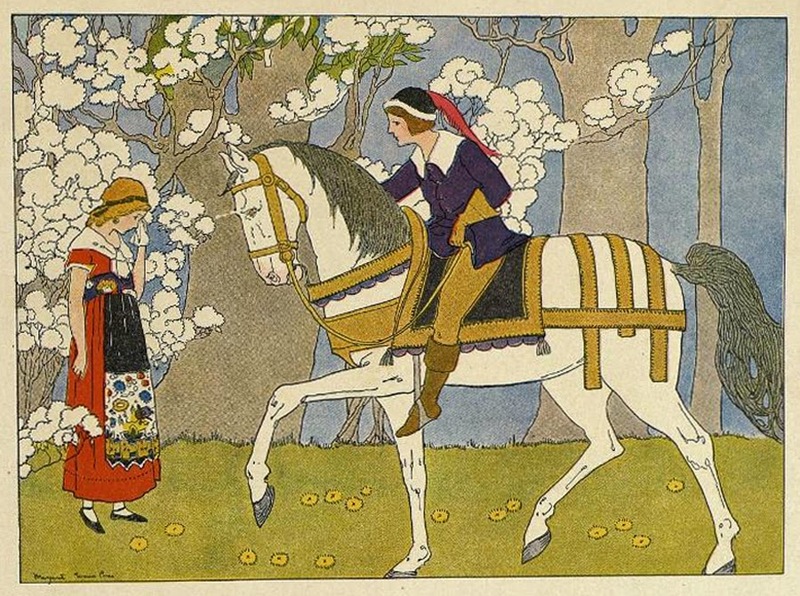 This was the time of transition from Art Nouveau to Art Deco, and Margaret Evans Price's art falls into this territory with its soft colors and elegant lines. 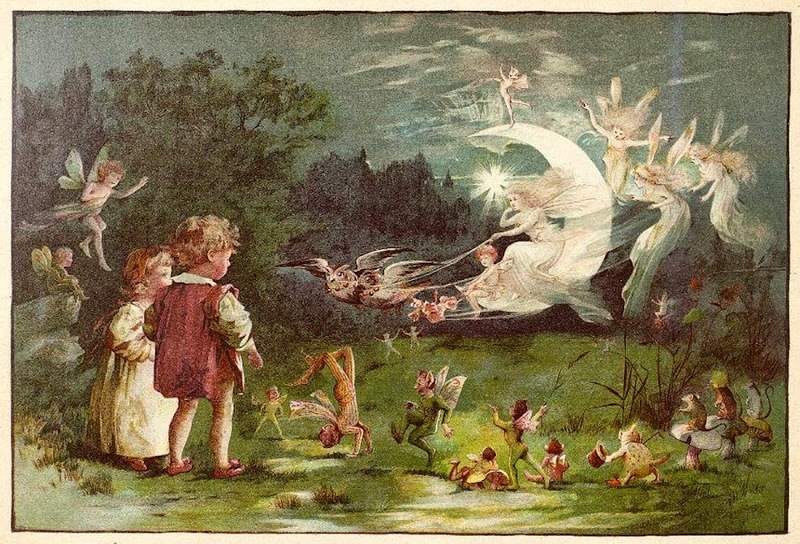 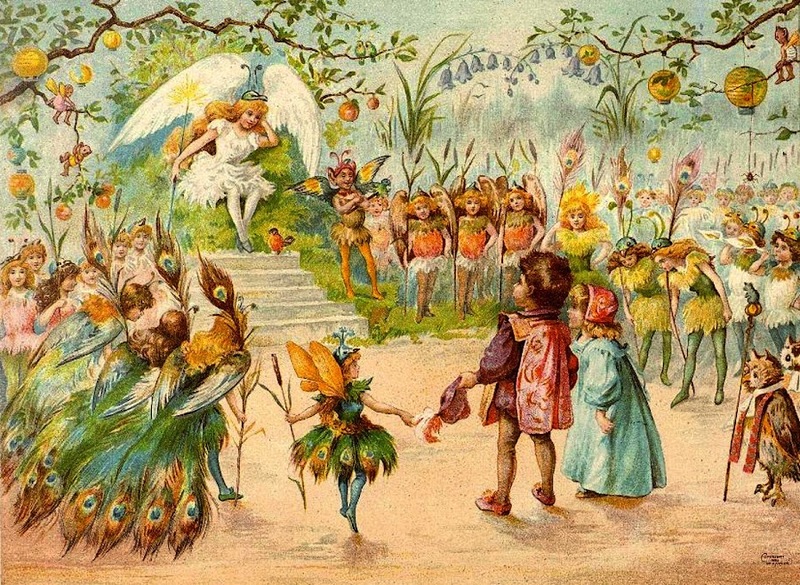 Fairies and High Folk (as elves are sometimes named) were still lingering in England (we mean the old merry English countryside) at the end of the 19th century, it seems. 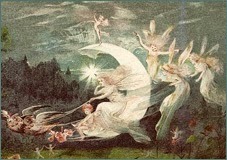 Flower fairy art was extremely popular with children and adults alike, and books were written about various contacts with Fay creatures in the "Twilight Realms" (one highly-recommended modern example of such fairy fiction is Ursula Le Guin's "The Beginning Place", check it out). 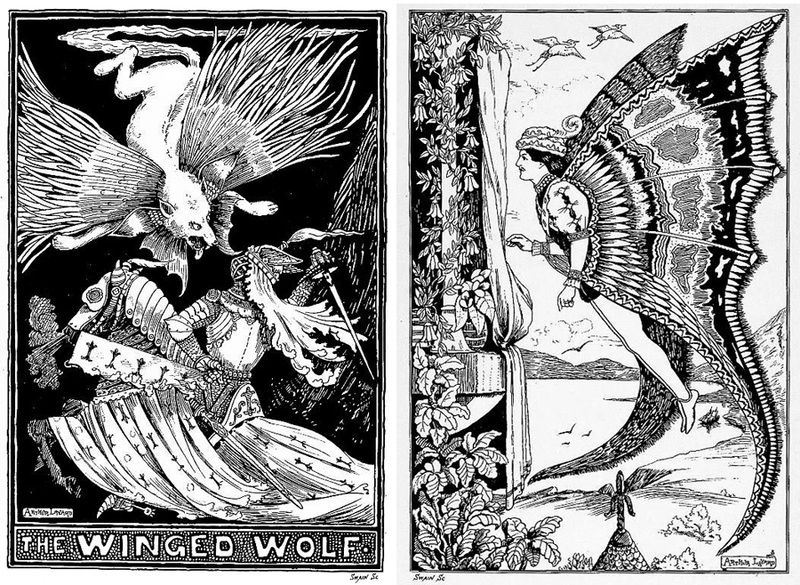 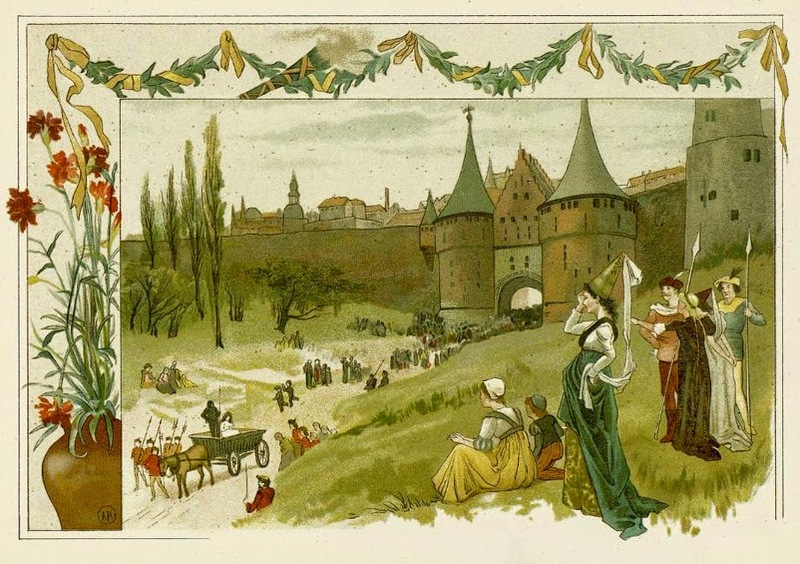 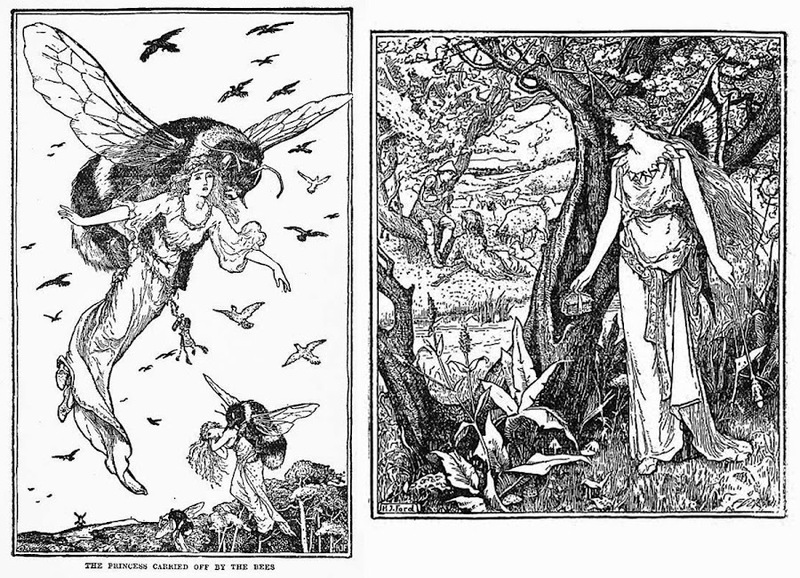 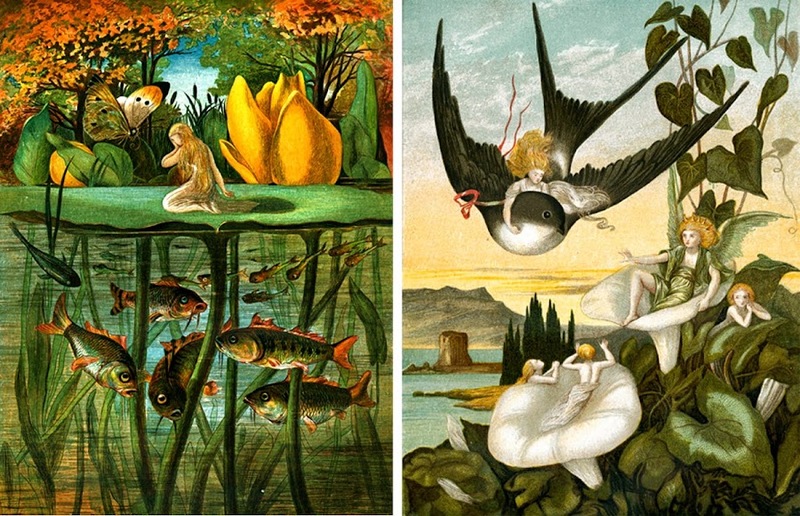 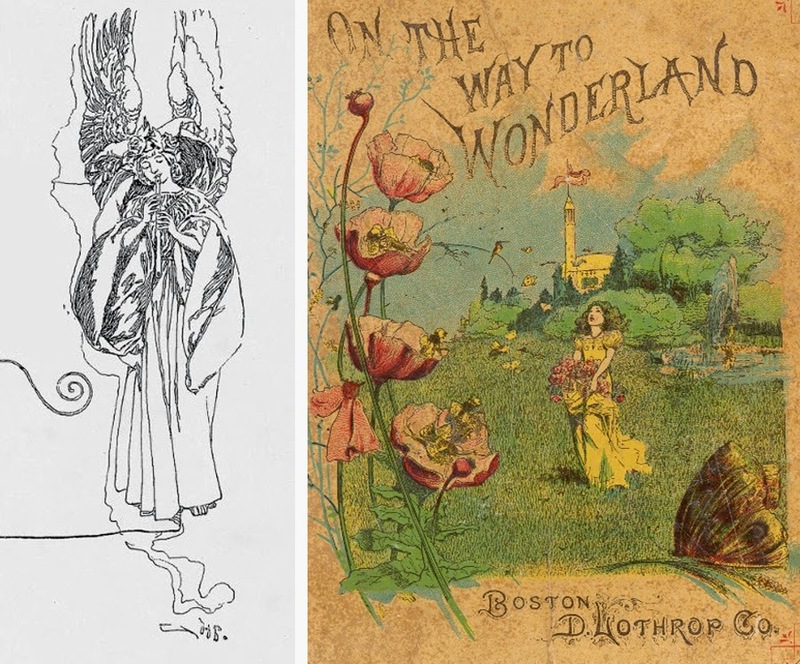 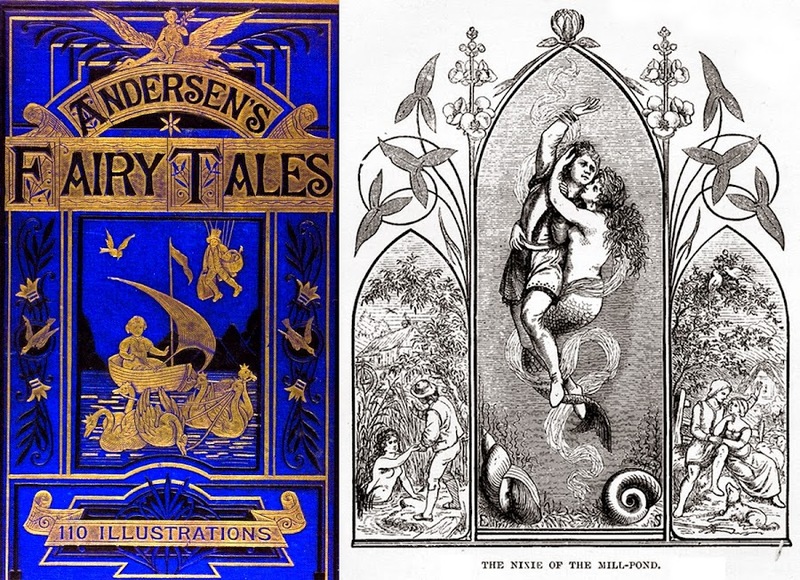 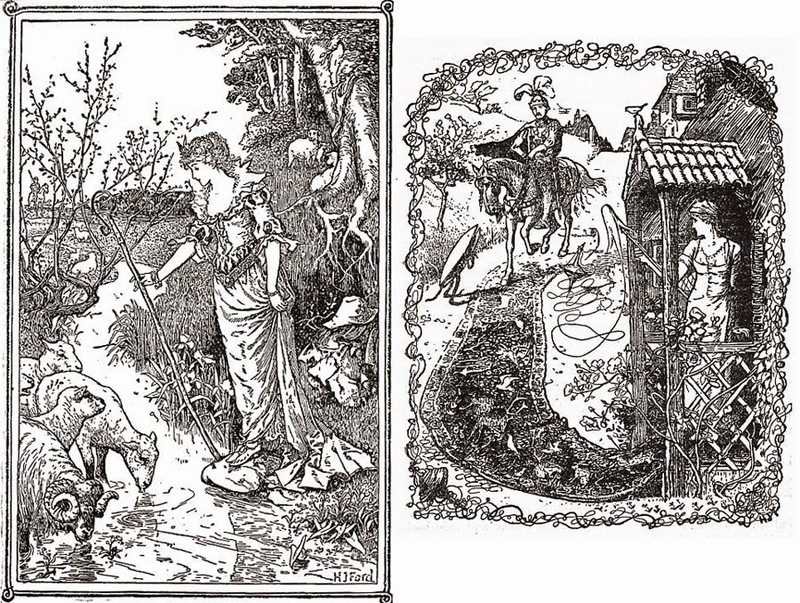 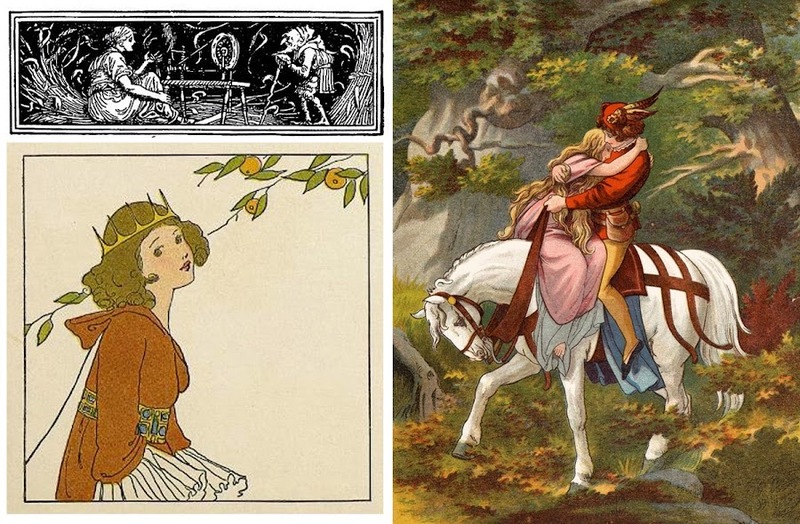 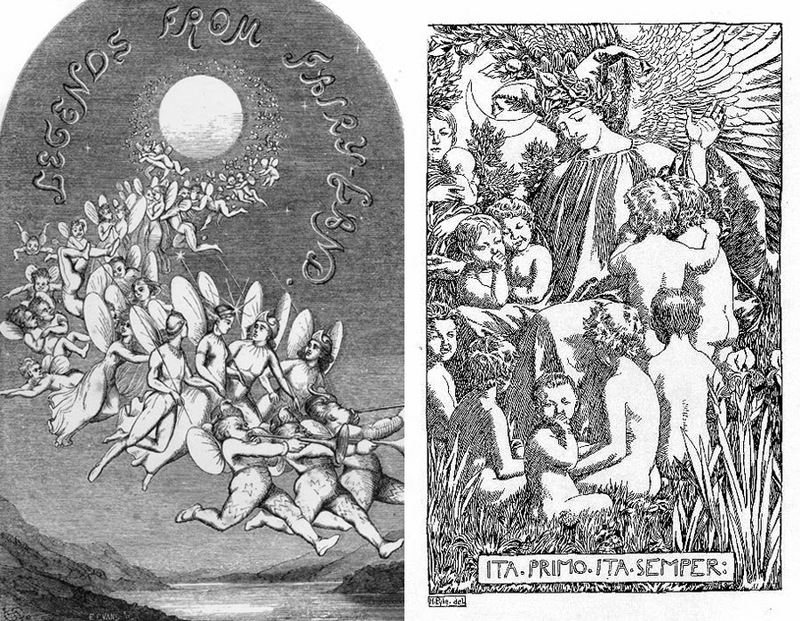 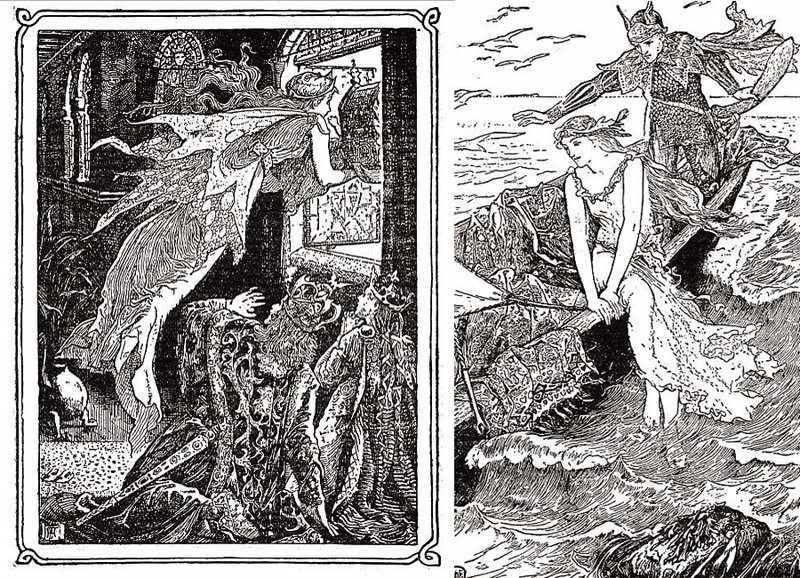 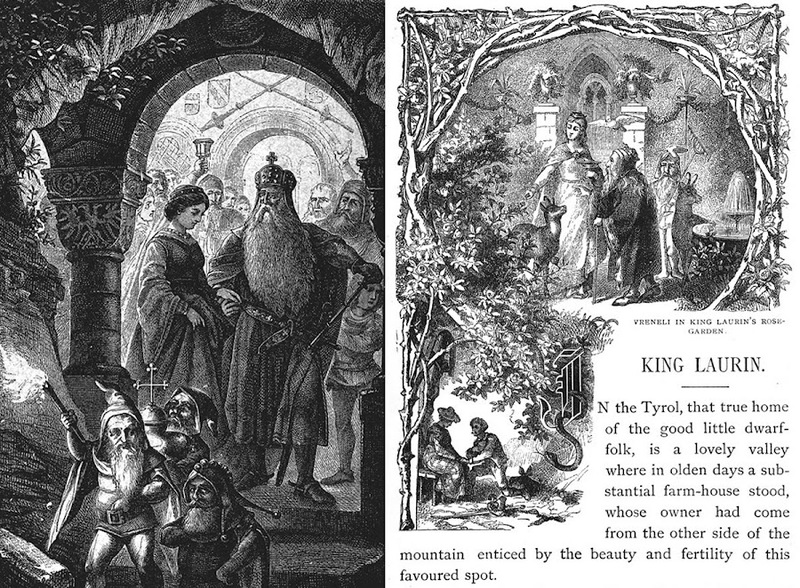 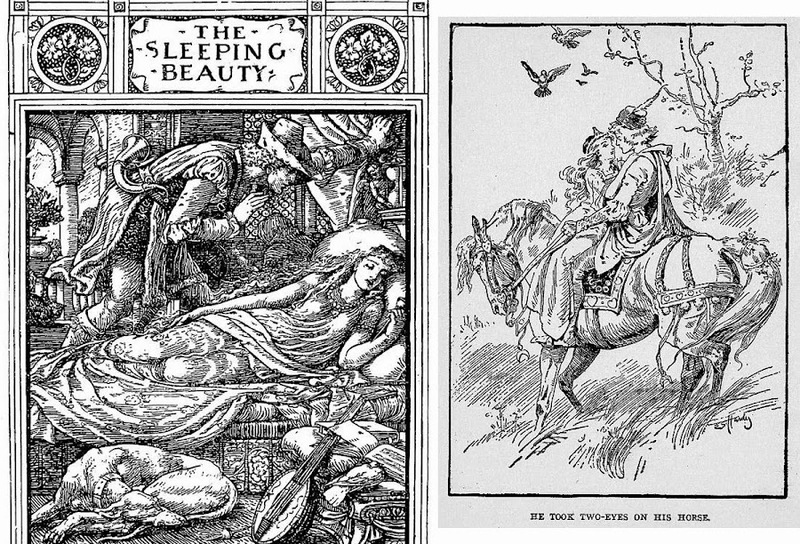 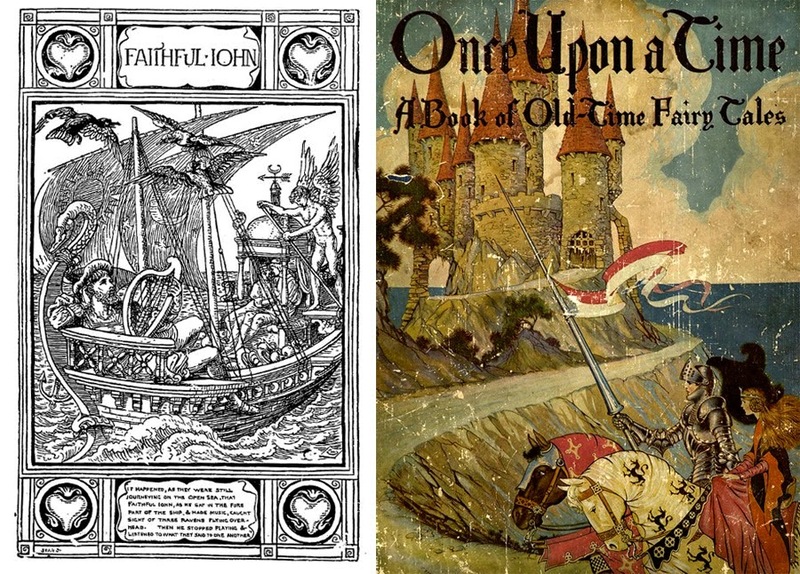 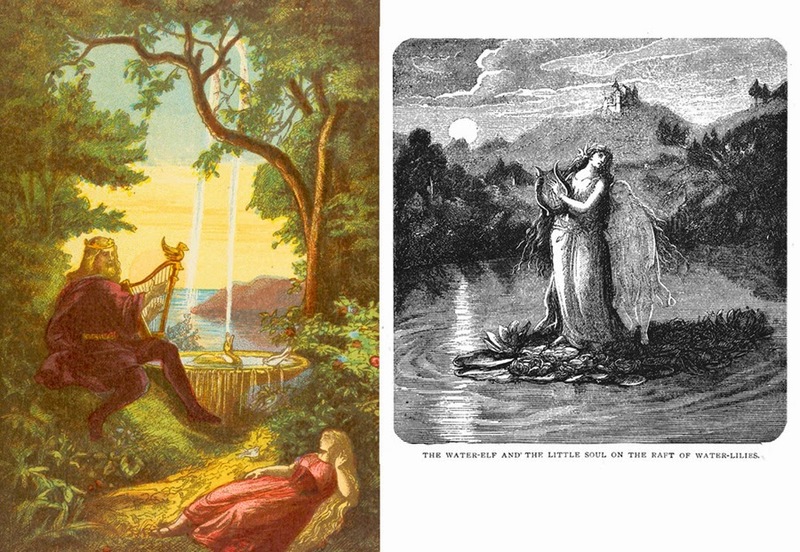 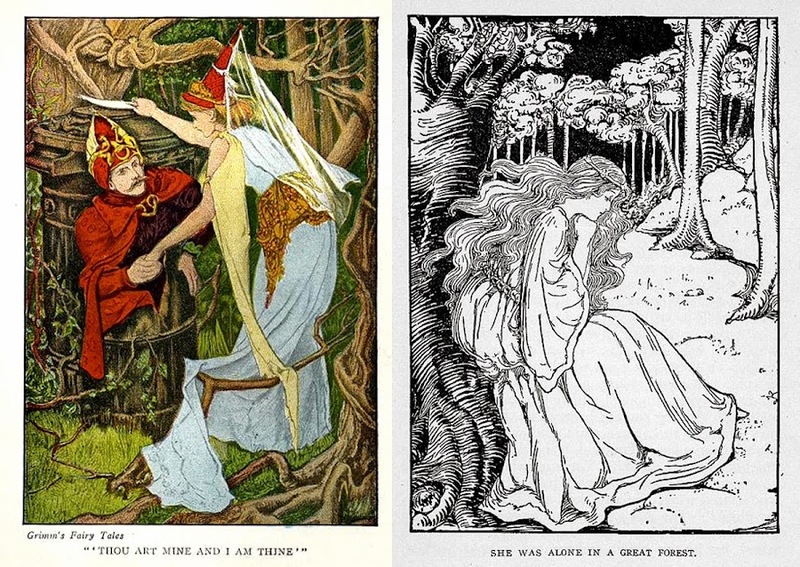 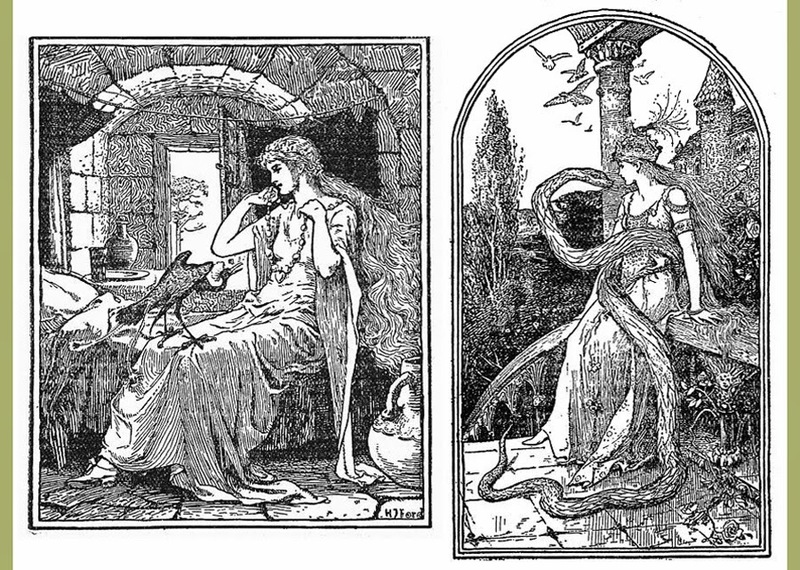 German Fairy Tales: high elves, dwarfs, trolls, and even a "winged wolf"
(left image below: Margaret Evans Price; right: illustration to Brothers Grimm's fairy tale "The Six Swans"
Above right: illustration from "The Terrible Head" from The Blue Fairy Book by Andrew Lang - read it here. 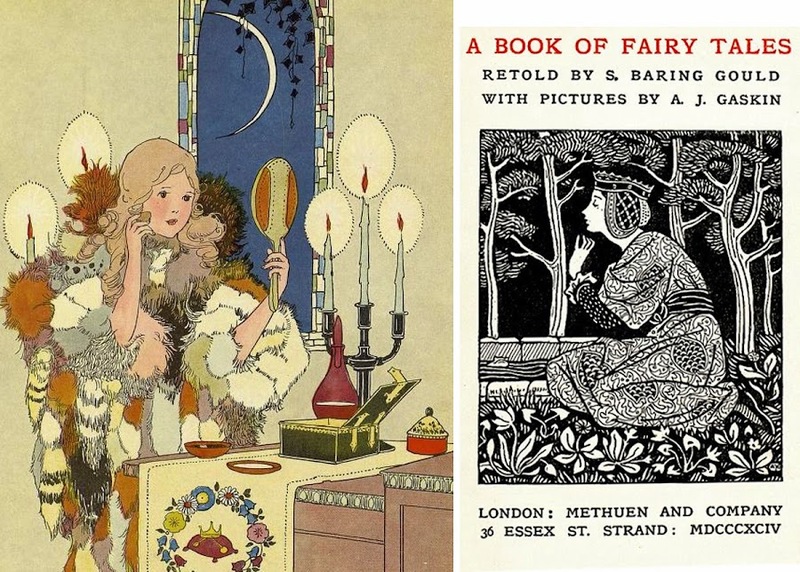 Hopefully this collection has been the source of inspiration and encouragement for those who still appreciate pure magic and grand values of Victorian romanticism-era fairy tales and Merry England's idyllic pastoral way of life. 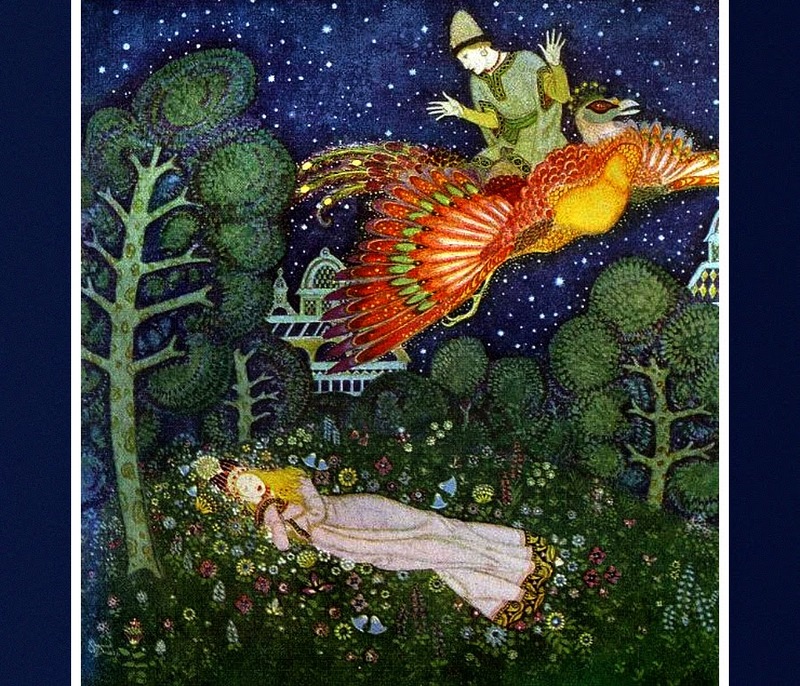 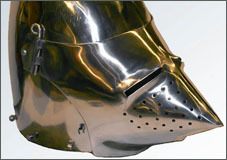 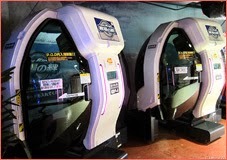 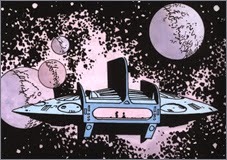 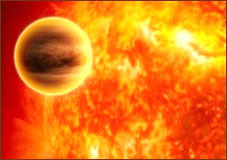 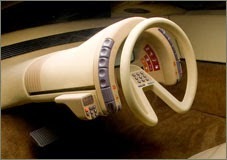 We are going to return to "high fantasy" subject in the future, trying to uncover more inspirational gems. 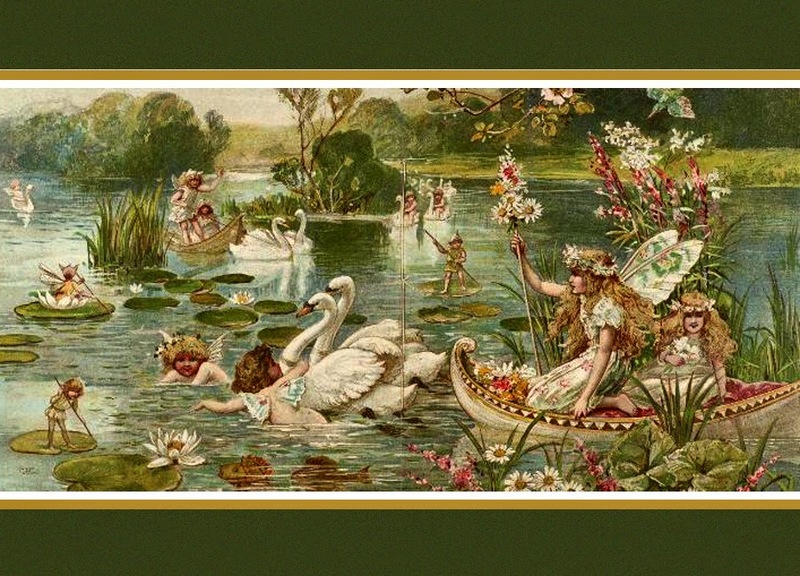 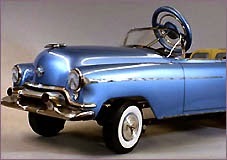 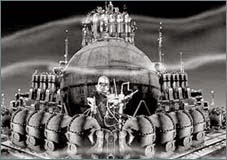 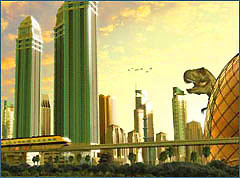 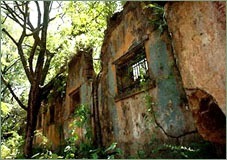 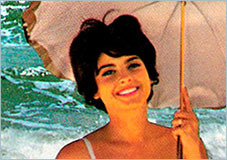 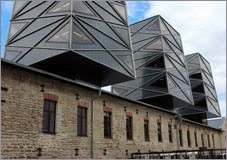 Then world behind and home ahead..."
The 1910's, 20's and 30's were not "Victorian" and Art Deco was never "Victorian" art.